Our family law firm specializes in helping people with uncontested cases and we have found that there are a few things you can do to continue to achieve an amicable or uncontested divorce once you have hired an attorney to help you complete the divorce process. Hiring an attorney does not always mean your divorce will end up drawn out or with litigation, but it does take a special attorney willing to work for both partners during the divorce and with a mind toward keeping things peaceful. Here are a three things to keep in mind when looking for an attorney for your amicable divorce. Brasier Law’s Portland based family law office often talks to people who want to do their own divorce, but frequently both sides are worried that if they talk to a divorce lawyer, then the other person will as well, and from there it will become world war 3. They express concern that their amicable divorce will go from peaceful to contentious because of the involvement of an attorney. This doesn’t have to be the case. This problem is actually easily solved if you and your spouse hire a divorce attorney jointly, so nobody feels like the other person “talked to them first”. Most family law attorneys are uncomfortable walking the line of joint representation, so it is not common to find a lawyer willing to do a joint case. Brasier Law, however, has found that it works very well when both parties have discussed their plan ahead of time and contact our office jointly to do an amicable divorce, or uncontested divorce. The best thing to do if this describes your situation is to have you and your spouse talk ahead of time, and agree to contact our family law attorney together. Brasier Law is always willing to do this either by email or telephone at no charge as long as you reside within Oregon or Washington State where we practice. I have found that if both parties know what they want in their divorce, and contact the Brasier Law office together to go over details, then nobody will feel afraid that the other person is pulling one over on them. 2. Hire the right divorce lawyer. Most lawyers who practice family law do so because they enjoy helping people through the trauma of a divorce or custody case, and are genuinely good people. Unfortunately, some lawyers are not, and are instead looking to rack up fees and talk you into fighting for more than you really want and which would create exactly the argumentative situation you are trying to avoid. The best thing to do is call around and talk to a lot of attorneys. Almost all attorneys offer free telephone consultations, and spending 10 or 15 minutes with your prospective lawyer can quickly help you determine if they are a good fit for your case. A lawyer with a healthy, non-confrontational approach will help you protect yourself, but will also make sure to not take any action that would turn your simple case into an all out war. 3. Have a plan ahead of time for what you want to come from your divorce. If you and your spouse are looking for the easiest way to handle your own divorce, then that likely means the two of you have a pretty good idea of what you both want to happen. When you and your spouse have already worked out the details of your case, then there is no reason why contacting a lawyer to “make it legal” would do anything to anger your spouse. This is especially true if you take the time to talk to them about using an attorney. You can talk about using a family law attorney to finish the paperwork so that the details are handled correctly and filing of the documents goes smoothly. If you want more information about how an attorney can make the process easier than doing it all yourself check out our article 5 Reasons To Hire an Attorney Rather Than do Your Own Divorce or Custody Paperwork . Contact us today at 1 (503) 855-4777 or if you live outside the Portland area contact us toll free at 1 (855) 328-9108 or through our form below to see how we can help you with your amicable divorce. 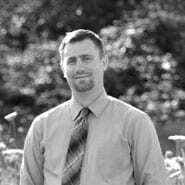 Tom Brasier is a Portland family law attorney, practicing in Oregon and Washington state. He specializes in divorce, custody, restraining orders and other family law matters.